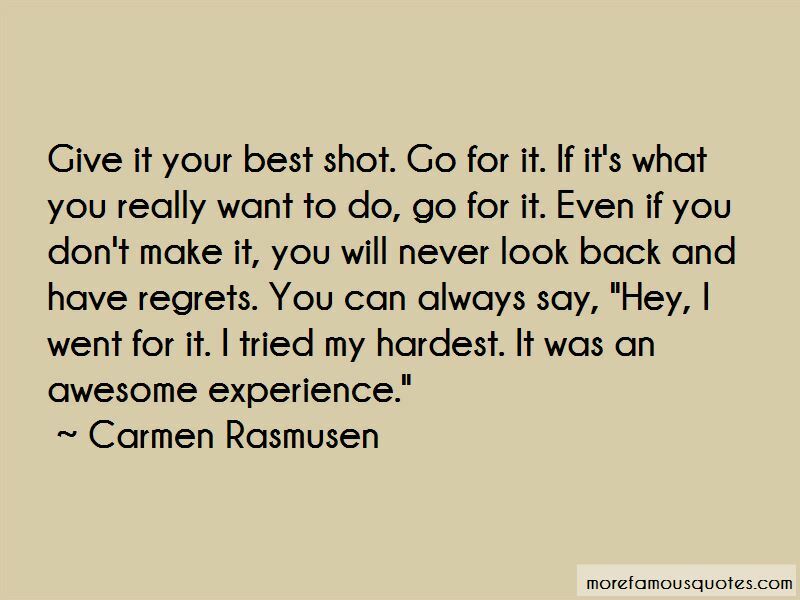 Enjoy the top 9 famous quotes, sayings and quotations by Carmen Rasmusen. I think that you have to prepare yourself mentally for show business, because it is such a tough world. You don't realize how hard it is until you're actually in it and you're actually on the show. My religion is my whole life. I love sharing it with people and clearing up any misunderstandings people might have about our Church. I think that Mormonism as a whole has been misunderstood. So, I think, it's neat that people just get to learn a little bit more about what our faith is about and what we believe in. 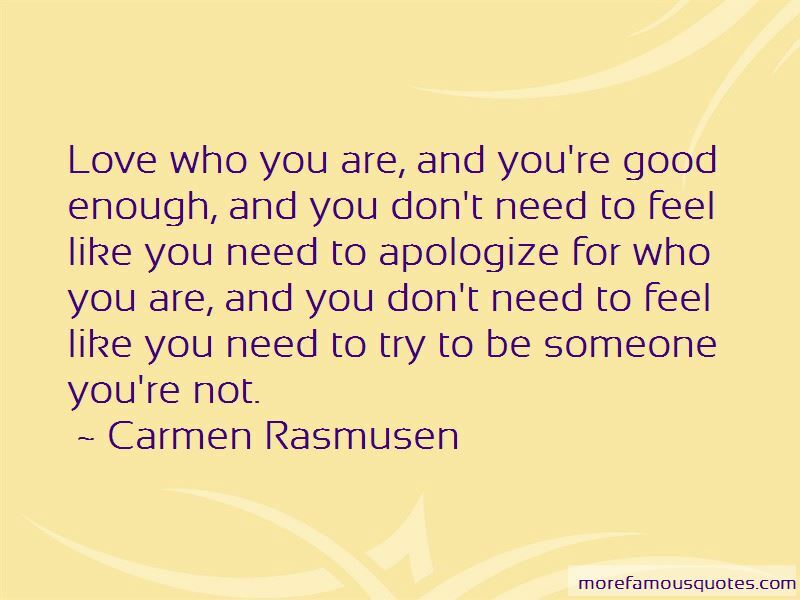 My parents always have taught me 'you're good enough'. So, whenever I got bad comments from the judges, or I'd get on the Internet and read what bloggers have written about me, I would get so down, and I would get so sad. The biggest support group was obviously my parents, and I'd call them. And they'd build me up. 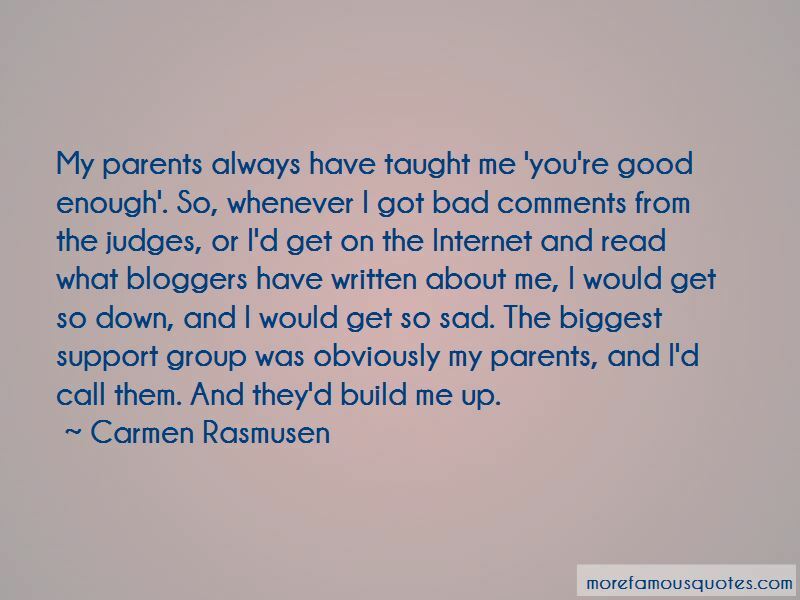 Want to see more pictures of Carmen Rasmusen quotes? 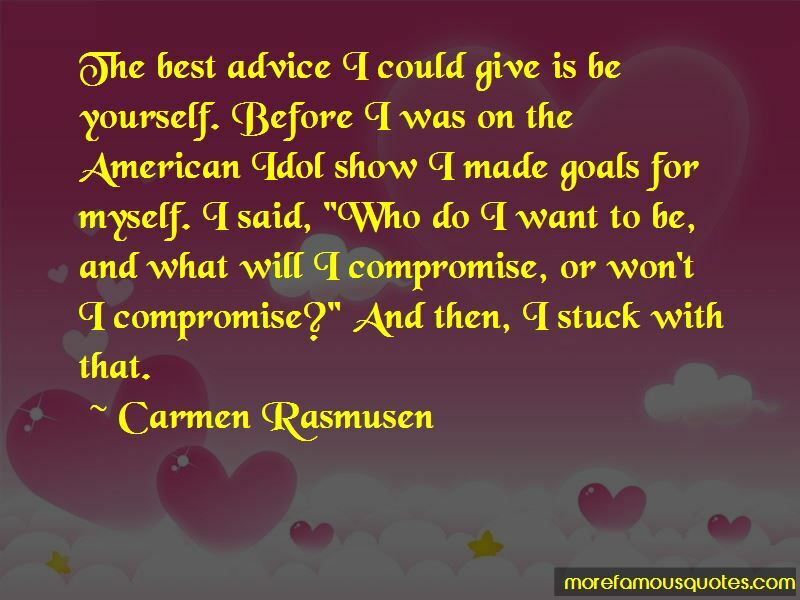 Click on image of Carmen Rasmusen quotes to view full size.